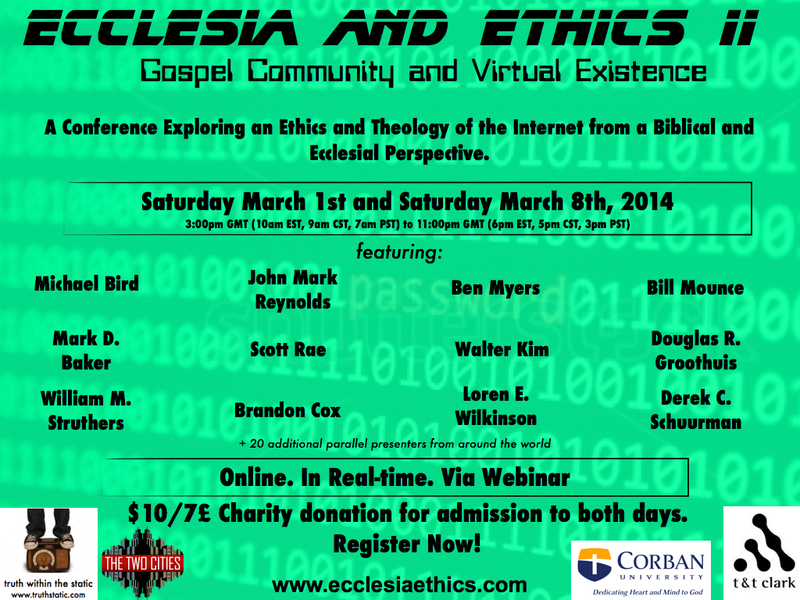 Ecclesia and Ethics IV | Online. In Real-time. This conference will be based at Trinity College Queensland in Brisbane, Australia on the evening of Thursday August 1st from 7-9pm and on Friday August 2nd from 9-4pm (which is Thursday August 1st afternoon/evening in the States) and hosted online. 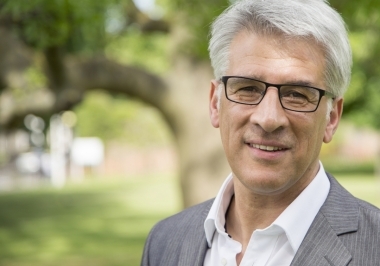 Ecclesia and Ethics is an international biblical studies and theology conference bringing scholars and practitioners into a global conversation. The conference is a hybrid conference, though many papers will be given from the Brisbane location at Trinity College Queensland. Presenters and attendees will be able to participate by delivering papers and conducting Q+A through webinar software from anywhere in the world, live, in real-time. All that is required of participants is a reliable internet connection and a mic/webcam, available stock on most laptops, phones, and tablets. Historical analyses of exegetical texts that considers the theme of moral formation through theological engagement in a biblical text in the interpretation of an exegete from the patristic, medieval, or Reformation period. Papers should be between 30-40 min with a 10 minute Q & A session following. Scholars who wish to present papers are requested to send a 300 word abstract to Ryan.Brandt@gcu.edu no later than January 15, 2019. All contributions should be original work, and standout papers will be selected for publication through an academic press TBD. 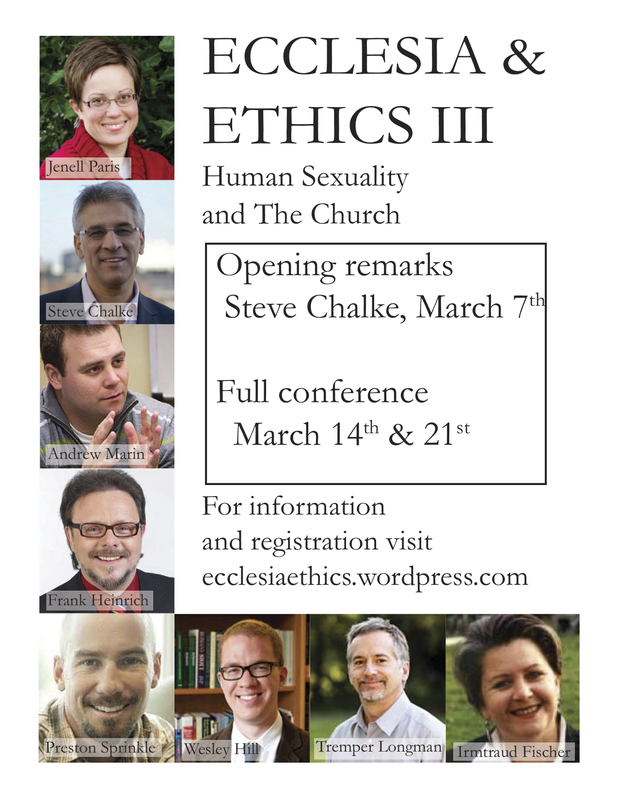 The conference is sponsored by Trinity College Queensland, Logos Bible Software, and by a generous grant from the Australian Research Theology Foundation Inc.
We’ve posted the official schedule for Ecclesia and Ethics III. Check it out here. Register to attend here. You will have access to all of the presentations live, in real-time, including the opportunity to participate in Q+A. Registered attendees will be also have access to the recorded videos and audio of all of the presentations in EE III. *Be sure to “download the desktop version” of gotomeeting when prompted in order to properly hear the speakers. Saturday March 7th @ 4pm GMT [8am PST,9am MST,10am CST,…11am EST]. To catch the talk go to: https://global.gotomeeting.com/join/309842029 at the times listed above. No need to register before hand for this inaugural talk! Register for the entire webinar conference before or after [March 7th inaugural lecture, plus Saturday March 14th and Saturday March 21st] here for a charity donation of $10. *Full Schedule for Saturday March 14th and 21st, including main paper titles and parallel paper titles, and presentation times will be posted by Monday. All presentations will be recorded and available to view afterwards by registered participants via links. We’ve got a bunch more in the process of being uploaded this week, but for now, I invite you to dig into Round I of the posted videos (see post below) or these three, new, excellent presentations from Andy Byers, Ben Myers, and Bill Mounce. To view the videos, just use the password which has been emailed out to you. 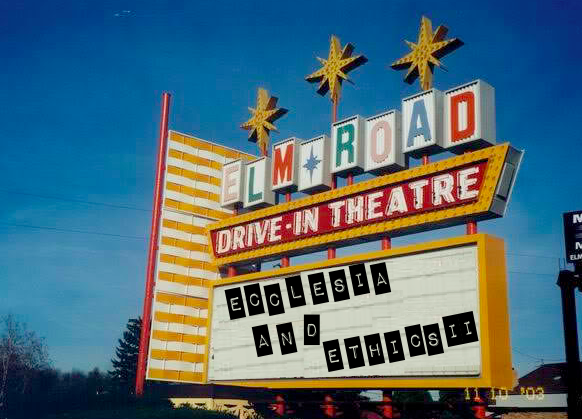 If you forget the password, you can email ecclesiaethics@gmail.com. Brian LePort’s “Status Anxiety, Social Media, and Discipleship” Presentations. 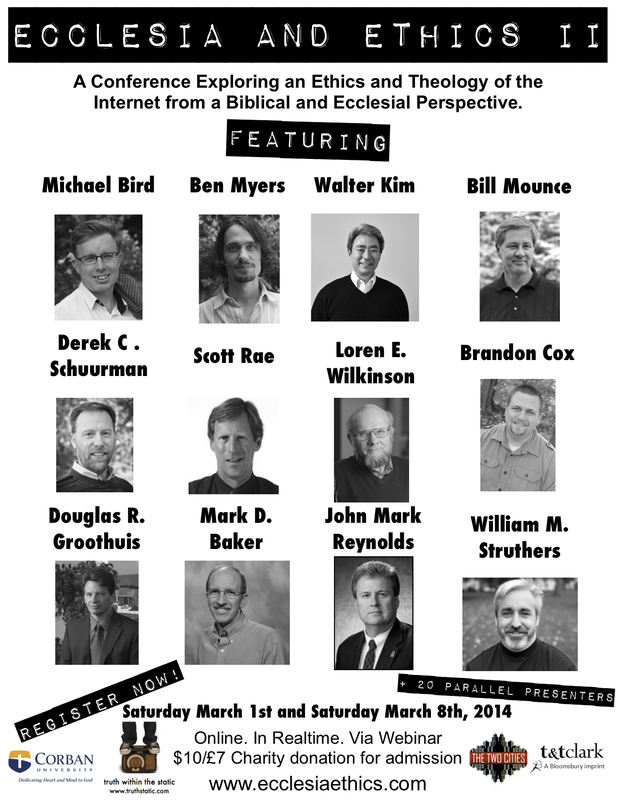 We’ve just uploaded the first of several rounds of videos from Ecclesia and Ethics II, and provided links to them on various speaker pages. Over the next week we should be able to get them all uploaded. Keep checking back every few days for more audio and video. The webinar provider does not have the ability to record webcams yet (just screen share and voices), and so some videos are mostly audio, while some provide a powerpoint show, depending on what the presenter used during the conference presentation. A password is being sent tonight to all the conference registrants. 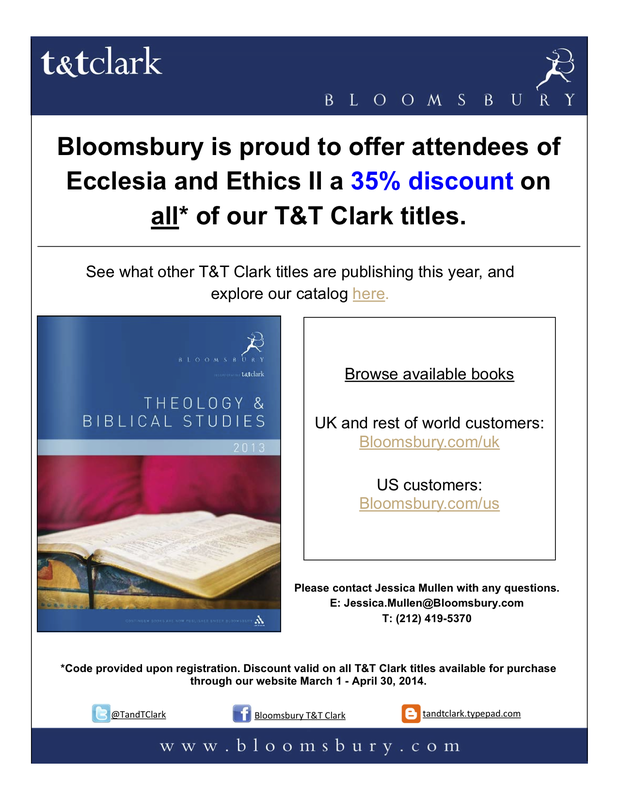 You can still register for the conference and watch it via video, and you will receive the password for the videos, and the password for 35% discount on T&T Clark’s catalogue. These are the first ones that we uploaded. Thanks for the presenters for their engaging and diverse papers. Enjoy!